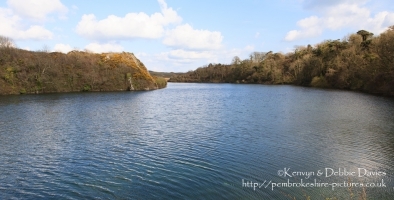 Bosherston Lilly Ponds, South Pembrokeshire. 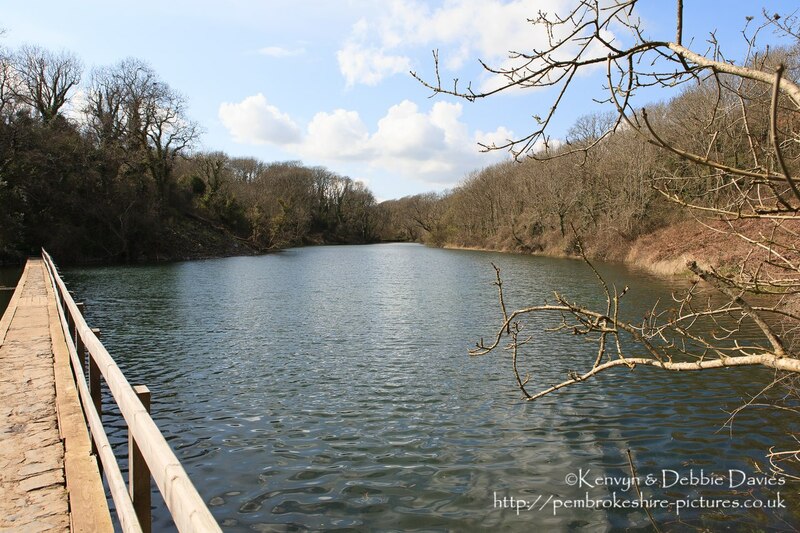 Formed in the 19th Century when Stackpole Estate blocked 3 valleys. 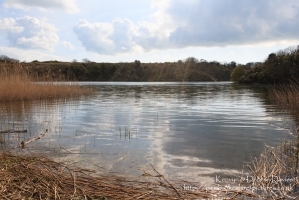 Description Bosherston Lilly Ponds, South Pembrokeshire. Formed in the 19th Century when Stackpole Estate blocked 3 valleys.